Just Heat have been trading since 2005 providing professional services to customers in Kent and Sussex for all of their heating and hot water needs. With a vast experience in the heating industry, we can offer a wide range of services to the highest of standards. By talking to you and understanding your heating and hot water needs, Just Heat can design and install a system to match your exact requirements. We are a Gas Safe registered company and Worcester approved installers (WAI) and have the level of knowledge and expertise to ensure our customers receive nothing but the best service. We have designed and installed heating and hot water systems for a range of properties, from single bedroom apartments to large multiple bedroom and bathroom dwellings. Our professional and competent engineers can offer a reactive service to ensure your gas appliance breakdowns are attended to promptly. Through experience, we have a stock of common fault spare parts are available same day or next day. 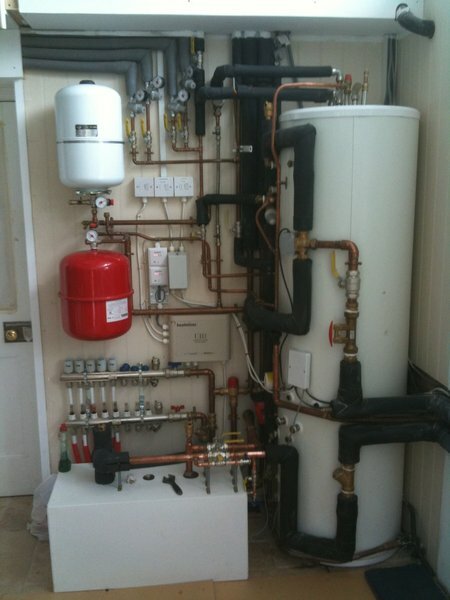 Very pleased with the new boiler that has recently been installed. Prompt efficient service with very good communications at all times. Highly recommend them. Our 16 year old boiler was on the blink. Justin and his team kept it going as long as they could but we had to bite the bullet and have a new one fitted they turned up on the dot worked with out fault and that same day we had a new boiler fitted and heat back on. Fantastic, so clean tidy and a pleasure to have in the house. Can't recommend enough they are the company for all our boiler needs. Reliable, friendly and efficient. It's good to know that in an emergency I can call Justin. JustHeat has provided boiler service over many years and is always helpful. We called Justin on Friday afternoon following a recommendation from a retired plumber friend of ours and he arranged for Karl to be on site at 8.00 Monday morning to replace our boiler. Karl worked efficiently and tidily and our heating system is now functioning well. I can highly recommend Justin and his team. Our boiler broke down. Justin kept it going through the Christmas holidays and the early part of the new year. It finally gave up in the March when we had to have a new boiler. From what was a painful experience the last time we had it done (and exceptionally expensive) Just Heat gave us a completely different and pleasant experience to the previous fitters. Not only did they fit it within days, they did so efficiently, cleanly and stress free. The cost was also exceptionally competitive compared to other quotes and well worth every penny. Since then I have called them out a number of times for other random plumbing jobs, and I have always been exceptionally pleased with the quality of work. All in all a wonderful helpful team whom I would highly recommend. I got Justin and his team to replace three old radiators, which needed pipework changing and service my boiler. Great work and when doing the boiler check a minor gas leak was discovered which didn't need doing then but they were flexible at the end of a long day to change all the pipework needed to my gas meter having looked at the options. Justin is very knowledgeable and experienced and will tell it how it is and give you options. He has replaced the fan in my boiler in the past when the boiler stopped working at short notice. would recommend him and his team to do a good job at very reasonable cost. Sort out large amount of air in central heating system. Phoned Just Heat 0930 hrs on 2nd January and Justin was with us 3 hours later. After a full survey of our system he identified the problem with the Magic Box management system. He advised a plan which he followed with a costed quote that evening which I accepted and he was on site at 0800hrs next morning . 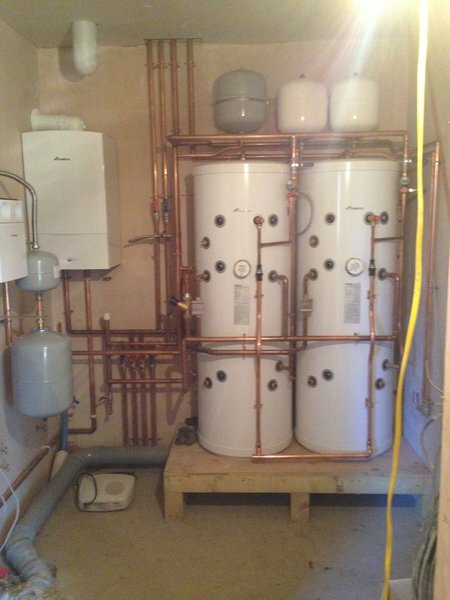 The Magic Box was removed completely, pipework in outer loft and airing cupboard modified and pump relocated. System restarted and tested and all completed without mess before lunch and to budget. Justin is a thinking man's plumber, very clean and tidy in his work which is done in an organized way. He talks through the technical aspects of the problem and comes up with cost effective proposals. Highly recommended. Having encountered major problems with our central heating system we were put in touch with Justin who did a wonderful job in sorting it out. This involved the introduction of a cleaning chemical as a pre-dose for a possible power flush, getting the system operational whilst we took stock to see what else was needed, the replacement of a faulty, yet new, pump, and the eventual power flush. The result: a central heating system that now works, greater understanding of the issues involved, and a plan for a program of regular services in the future. Throughout a difficult couple of months (with the weather gradually getting colder), Justin offered considerable reassurance and advice, as well as timely and prompt visits when needed. I would recommend Just Heat unreservedly.